Looking to make a change at home? 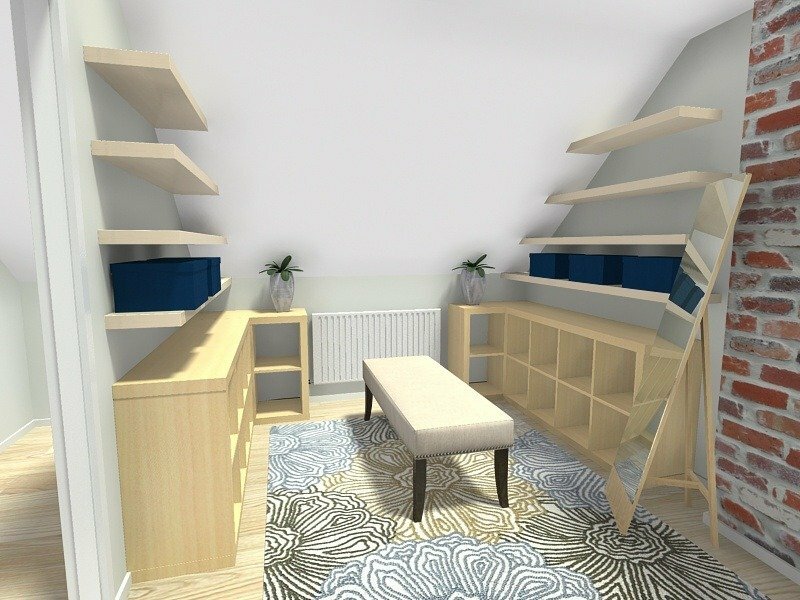 With RoomSketcher it’s easy to plan and visualize your interior design ideas online. Get creative before you start shopping! 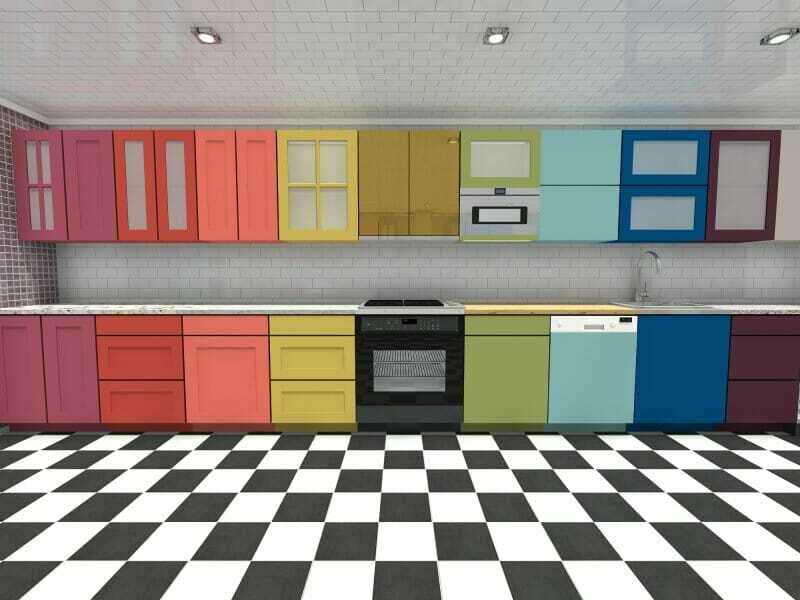 Create your floor plan, furnish and decorate, then visualize in 3D! Looking for some interior design ideas to help you layout a room, give it a fresh new look or even to plan a home remodel? Below you’ll find some of our favorite interior design ideas. 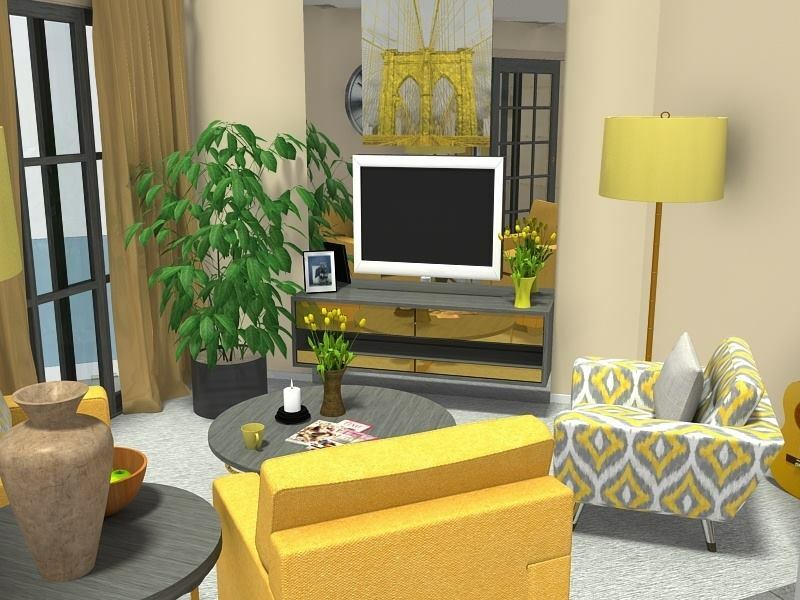 A little wallpaper, a fun accent colored wall, or some colorful accent pieces might be all you need to revamp your home. Go wild, and invest in a statement furniture piece in a bold, signature color. 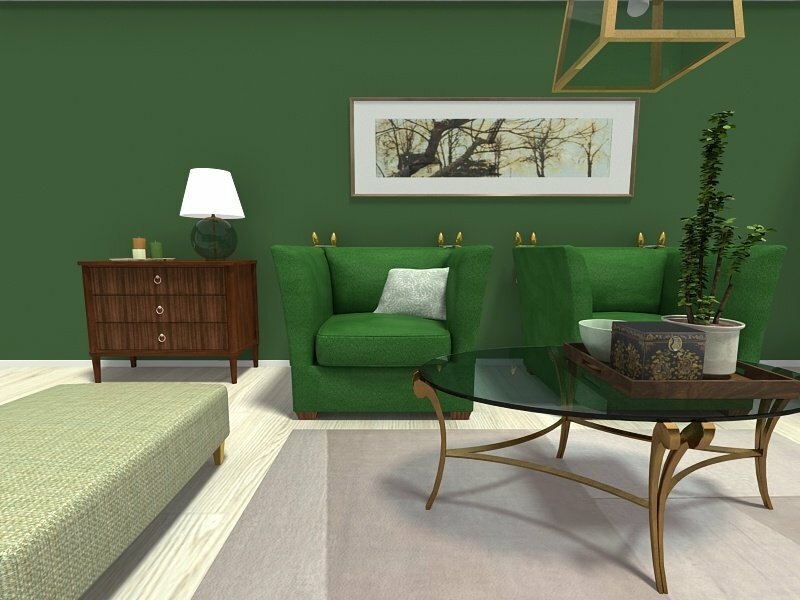 Then add small details in this same color throughout. In the interior design below, we show a bright red sofa. We paired it with red details in the kitchen, and throughout, giving a “red thread” throughout the interior. This connects the design elements and makes it feel more together and less random. A kitchen island is an excellent way to create some division between your kitchen and dining areas without closing off your kitchen. 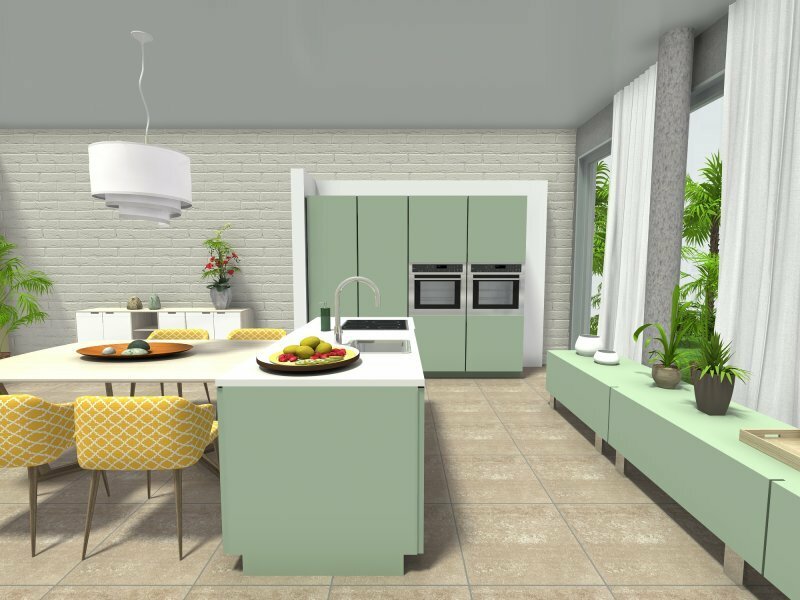 This interior design idea works great for both eat-in kitchens and kitchens that are open to a living space. You will extend your kitchen and gain extra storage and countertop space too. Extend the countertop on the room side and add some seating to make it an inviting and fun addition to your home. Add some color like a pillow, some colorful towels or a rug to a room in toned down hues. This is an easy and cost-effective way to accessorize a room. Choose neutral tones like beige or grey for your main elements, like your tiles, bathroom furniture etc. Then spice things up with fun, colorful accessories. It doesn’t take a great deal to make a difference. In this room, all we’ve done is add a colorful, inexpensive rug, and it brightens up the bathroom no end. Try a dark wall color for a bold room update. Dark walls create an intimate and inviting feeling in a room. They are great for living rooms, libraries, dining rooms and bedrooms. When you use dark color on the walls, keep the floor finish lighter. The deep blue wall color in this entry highlights the patterned tile floor, making it the focus of the room. Use this technique to show off a beautiful floor or carpet. Add a mirror and other reflective accents to bounce light and to extend the space. 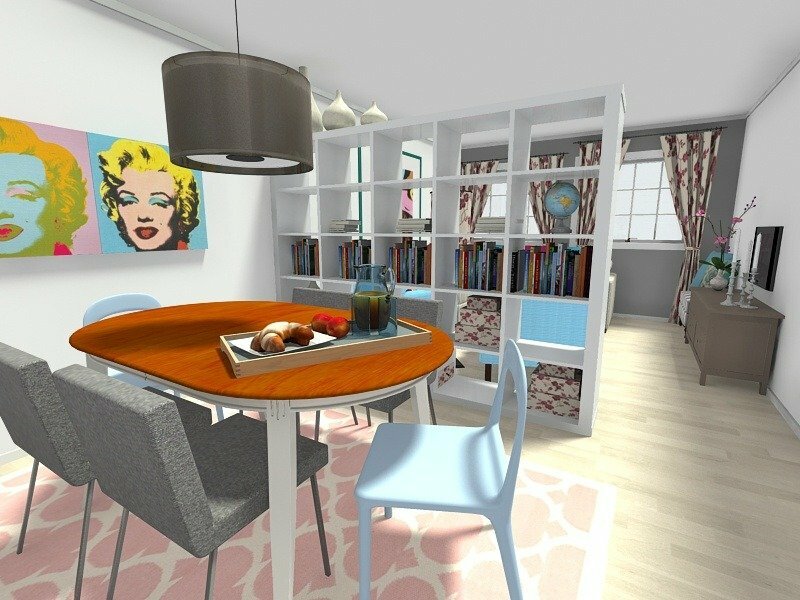 These interior design ideas were created with RoomSketcher. 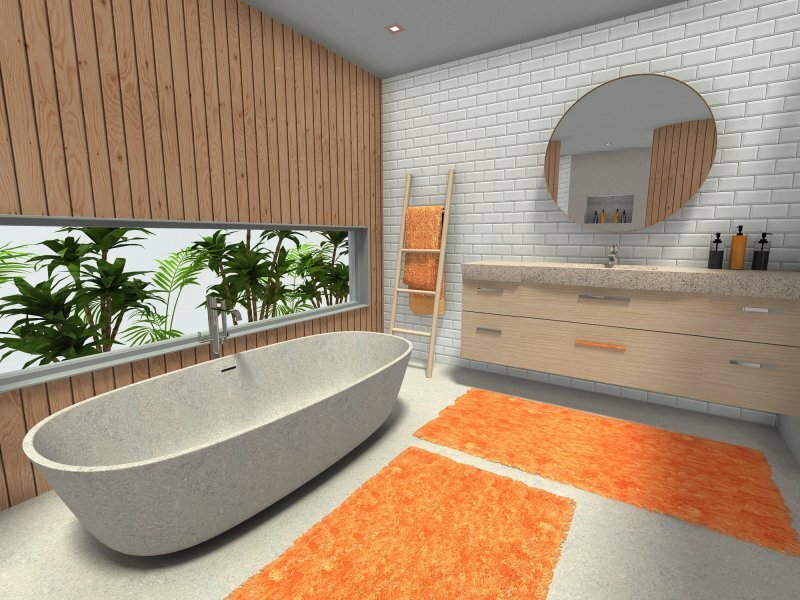 You can use this easy-to-use interior design software to plan and visualize your own interior design ideas!